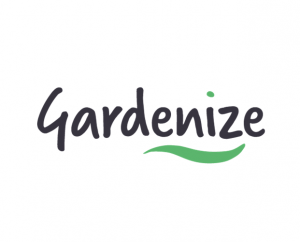 Hi, We are happy that you want to use the Gardenize application – WELCOME! Here are our terms and conditions for the use of our services. 1.1 The purpose of Gardenize is to help you with your garden. 1.2 Everything developed by Gardenize AB, 559022-3672, belongs to Gardenize AB and may not be used without permission by Gardenize AB. 1.3a All data stored in Gardenize may be used by Gardenize AB in order to improve the service for users. 1.3b If you have accepted to receive the Gardenize Gardening Letters, you accept to get tips, advice, How-to, reminders, inspiration, etc. via e-mail about various gardening, cultivation and Gardenize related topics. These messages may include offers from our partners. You can choose to decline any further e-mails at any time by clicking “unsubscribe” in the newsletters or by contacting Gardenize AB. 1.4 Gardenize AB reserves the right to remove information that is not in line with the purpose of the service (gardening) from the application. In general, you are informed about this and are given the opportunity to self-correct and are informed of the possibility of contacting Gardenize AB before the information is removed. If there is reasonable suspicion that the application is used for lawful activities, Gardenize AB reserves the right to inform the relevant authorities directly without notice. Gardenize AB reserves the right to block and remove users who repeatedly or grossly misuse the purpose (gardening) of the application. If you are likely to be blocked from using the service, you will be informed about this and will be given the opportunity to contact Gardenize AB. 1.5 The Terms and Conditions for the Gardenize application shall be governed by Swedish law and any conflicts shall be resolved in the Göteborgs Tingsrätt, Sweden. If you are a consumer residing within the European Union / EEA, the applicable law and jurisdiction shall be determined in accordance with forced consumer legislation, that is, usually your national law and the court in which you reside. For consumers residing outside the EU / EEA area, Swedish law applies, and competent court is the Göteborgs Tingsrätt. 2.1 These Terms and Conditions are part of the agreement between Gardenize and you as a Gardenize Service user. 2.2 The terms are valid from the day you start using Gardenize Services with our consent and then apply for a further period. 2.3 Either part is entitled to terminate the agreement with a notice of one month’s notice period. 2.4. Either part is entitled to terminate the agreement with immediate effect if the other party violates these terms and conditions or if there are grounds for believing that the other party is in default or the other party commits a criminal offense in connection with the performance of the agreement. 2.5 If the agreement expires, you undertake to immediately discontinue any use of Gardenize Services. • what inspiration posts you have saved and what other users you follow and who follows you. You will also be assigned a unique identification number. Each user is assigned a unique identification number to which personal data is linked so that each user can access their account on different devices. The main purpose of the treatment is to provide you with our garden service. The legal basis for this treatment is “agreement”. Your personal information is therefore saved for this purpose as long as you have a contractual relationship with us. Some of your personal data, such as hardware and operating systems, we store in order to improve the quality of our services. The legal basis for the treatment is legitimate interest. Your personal information is saved for this purpose as long as you use our service or until they become out of date (for example, if you change your computer or mobile phone, no information about the previous hardware or operating system will be saved). 3.3 We will not disclose your personal information to other companies. 4.1 Gardenize AB’s services, including all content, all applications (including updates or changes), features, are provided in its current state and its use is at the user’s own risk. Exceptions are made for damage caused by gross negligence by Gardenize AB. 4.2. Gardenize disclaims the obligation to provide services to you if this is not or becomes unreasonably expensive due to war or riots, terrorist acts, labor market conflict, fire, explosion, natural disaster, serious interference in telecommunications or internet communications, law or decision by public authority or other similar circumstance that we do not possess and could not reasonably have predicted. Good luck and have fun when using Gardenize!